Is your site under-performing? Are you sure you know all the reasons why? See if your site is suffering from what you don’t know that you don’t know, and how to make it better. Design is the first challenge most site owners try to tackle. And, they usually do it by themselves. After becoming dazzled then dazed from viewing hundreds of sites, they settle on the one with the most “wow” factor and attractive pictures. Design should be the last thing on your to-do list when creating a website for your business. It should come after you know what role the design plays in your marketing, including what layout works best for your content and target audience. One theme structure will outperform another for conversion. Do you know for sure if you have the right theme structure to meet your conversion goals? what results appear on your screen? do you see any beautiful designs? what do you think got those sites on the front page of Google? what makes you click one of the links? Successful sites are driven by killer content. It’s rich in keywords (the same ones you typed in to find the site in the first place), and the page/post titles convince you that you will find what you seek on that site, which is why you click it. Only after you click a link do you see the site’s design. Then, what are you looking for when you go to that site? The content that you were promised in the link. A full 80% of my training clients don’t know WordPress fundamentals – no matter how long they’ve been site owners. They suffer from what I call self-taught blogger syndrome. And I do mean suffer. All of these simple things contribute directly to the SEO success of your site and the delight of your readers. Or, they don’t really know what all of their plugins do, or if they conflict with one another. They just installed it because some guru said to. Do you know what all of your plugins do? Do you know if you have any plugin conflicts? Do you know which ones are not configured properly? If you only have 7 seconds to capture the reader’s attention, how long do you really think they’re going to wait around for the site to even load? You can test a lot of the site elements I’ve already mentioned yourself. Run a blog page through my fave performance tester, WebPage Test. Or try GTMetrix. Don’t bother with Pingdom. It’s not accurate. The reason you want to use a blog post is because more folks will likely visit that than your home page, at least, if you’re doing your content marketing correctly. More on that next. Even if you decide to get that new design you spent so many hours searching for, have you given much thought to what you’re going to use to fill up the space on all those empty pages? How are you going to get folks to come see your new site? What new information are you going to provide tomorrow, or next week, or next month, to give them a reason to visit your site more than once? Where are you going to place that information on your site so that it’s easy to find? Are you giving readers a reason to visit any other page on your site, and where is that? Are you building authority on topic and creating rich resources? What do you want readers to do once they consume your content? You see, once you get past the design, it’s all about content and conversion points. How all of this is done is the key difference in whether or not your site is a successful promotional tool for your business. Choosing a site design and content strategy that works best for your business is a little like buying a new house. The difference with a website is, you choose your furniture first (the content), then find a house that fits it (the theme). During the creation of your content, you will clarify your message and have a better understanding of what your target audience wants to see on your site. Then, and only then, will you have the marketing savvy to choose a site design that will appeal directly to your audience. And then you’ll have the right conversion points in the right places so they’ll easily know what you want them to do next. In other words, you’ll be able to build the kind of house with the right furniture and amenities. When you invite readers in, they will be instantly at home and will want to stay a while. Visitors will come to rely on the rich resources you’ve created for them beyond your blog posts. And, they’ll want to keep coming back for more. That is what makes for a successful site. A Site Audit will help you pinpoint trouble areas with both security, performance, and SEO. Live training classes and video tutorials will help you master the fundamentals and take you all the way through blogging on purpose. Ready for a site revamp? Yep, we can do that too. Contact me directly. 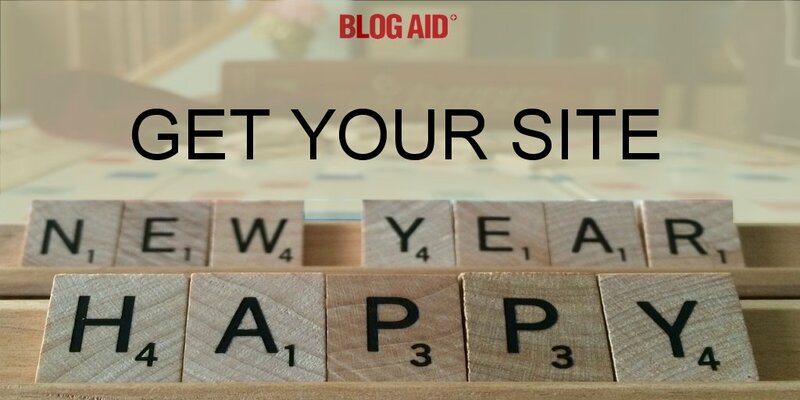 Are you ready to have site success in the new year?